Buying a home is one of the largest milestones in most people’s lives. The process is not to be taken lightly – choosing the right home and the right financing take time and expertise. At Global Mortgage, we work closely with first-time home buyers to guide them through each step. If you are considering purchasing a home in Rancho Cucamonga, Upland, Ontario, Fontana, or surrounding California neighborhoods, contact Global Mortgage for a consultation. After gaining and understanding of your goals and financial situation, we will help you explore conventional and non-conventional mortgage options that make sense for you and provide a quote. In the initial stages of finding, funding, and purchasing a home, you will need to evaluate your financial well-being and goals. Our mortgage professionals will help you explore different financing options and discuss specifics including down payment, mortgage term, interest rates, and more. First-time home buyers can take advantage of several programs and benefits. The Global Mortgage team will quickly determine your eligibility for each option and help you choose financing that works for you. There are two basic divisions among mortgages in the U.S.: Conventional and non-conventional. Conventional mortgages are what you might consider “traditional” mortgages. They are fully funded and insured through private lenders and companies. Non-conventional mortgages, conversely, are secured through a government entity, but fully funded through private lenders like the Global Mortgage team. One of the most difficult hurdles to overcome for many first-time home buyers is saving enough money for a down payment. Down payment assistance programs are a type of “junior loan” designed to help you bridge the financing gap to make a down payment. In California communities, the California Housing Finance Agency (CalHFA) offers a popular program called MyHome loan. This loan can provide up to 3.5% down payment assistance. 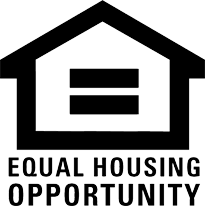 Local housing commissions also provide various down payment assistance programs that we can discuss. An FHA loan is insured through the Federal Housing Administration. This type of non-conventional loan helps clients with less-than-perfect financial status achieve the dream of purchasing their first homes, and with as little as 3.5% down payment. Because they are backed through the federal government in case of default, FHA loans are low-risk for the Global Mortgage team. This means we are can provide a broader range of applicants, including first-time home buyers who might otherwise not qualify for a conventional loan. VA loans have among the best rates and terms available of all mortgage options available. Like FHA loans, these are non-conventional loans, but they are federally backed through the U.S. Department of Veterans Affairs. VA loans are available with 0% down payments, very low interest rates and no required private mortgage insurance. VA loans are only available to certain servicemembers, veterans, and living spouses of certain deceased servicemembers and veterans. We can quickly determine if you may be eligible. When you are ready to start the journey to purchasing your first home, Global Mortgage is here to help. We offer personalized consultations for financing in Rancho Cucamonga, Upland, Ontario, Fontana, and surrounding communities. Contact us to discuss first-time home buyer mortgage options and approval today.